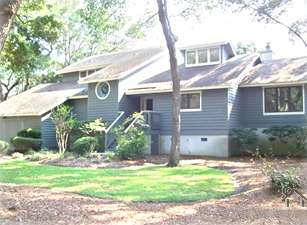 Come visit our beautiful home near the sandy shores of South Carolina in the community of Kiawah. Enjoy a vacation where you can be as active — or inactive — as you would like. is a leisurely seven-minute walk to the beach. features four bedrooms — each with separate bath, spacious great room, fully equipped kitchen and more. is on an island where outdoor fun abounds. The Kiawah Island Golf Resort was voted best resort golf course in the country by the readers of Golf World magazine. The award-winning Cougar Point Golf Course, one of seven courses on the island, sits nearby. is a part of the vibrant community of Kiawah.